More than 300 lawsuits have been filed against Fresenius Medical Care arising from problems with GranuFlo and NaturaLyte dialysis products. Both GranuFlo and NaturaLyte were subject to a Class I Recall after serious risks arose and the Food and Drug Administration (FDA) became concerned about the link between GranuFlo/NaturaLyte and patients suffering cardiac arrest. Our Boston dialysis drug lawyers know that the Class I Recall occurred in March of 2012 and included a voluntary change of the labels on both the NaturaLyte and GranuFlo products. This recall occurred months after an internal memo was sent out by Fresenius Medical Care on November 4, 2011, alerting physicians at Fresenius’ own dialysis clinics that GranuFlo and NaturaLyte could result in excess bicarbonate in the body if doctors did not specifically adjust for the fact that GranuFlo and NaturaLyte reacted differently than other alkaline substances used in dialysis treatment. Unfortunately, many patients who were administered either GranuFlo or NaturaLyte experienced serious or even deadly side effects as a result of the elevated bicarbonate levels, prompting injured victims or surviving family members of those who were killed to take legal action. More than 300 lawsuits had already been filed by the summer of 2013, and now on November 5, another five lawsuits were brought against Fresenius Medical Care according to the West Virginia Record. Four of the five lawsuits that were filed against Fresenius Medical Care in November were filed by estates of people who died because of cardiac arrest allegedly linked to the use of GranuFlo or NaturaLyte administered during their dialysis treatment. The lawsuits are expected to be transferred to a federal court in Massachusetts where there is currently a multidistrict litigation proceeding to process claims against Fresenius. A multidistrict litigation allows plaintiffs to continue to have their own independent cases they have control over, while making it possible for a single judge to more quickly and easily resolve questions of law that are going to be relevant to all GranuFlo and NaturaLyte injury cases. Because the patients were killed in four of the five new claims that were filed, the cases will be considered wrongful death claims and the surviving family members of the victims should be compensated for medical bills incurred prior to death; as well as for lost companionship, and loss of any income that the deceased would have provided if the dialysis medications had not been the cause of an untimely death. Cases against Fresenius medical care may be based on strict liability or based on other legal theories including negligence and failure to warn. Fresenius had a duty to design a safe product, and to alert the public of the risk of its use. 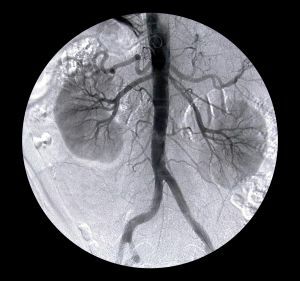 Because there is clear evidence to indicate that the company was aware of the problem and didn’t take action to protect dialysis patients, the company may face significant risk of being found liable for injuries when the case gets to a jury. If you suffered because of a defective drug in Massachusetts, call the Law Offices of Jeffrey S. Glassman for a free and confidential appointment — 1-888-367-2900.